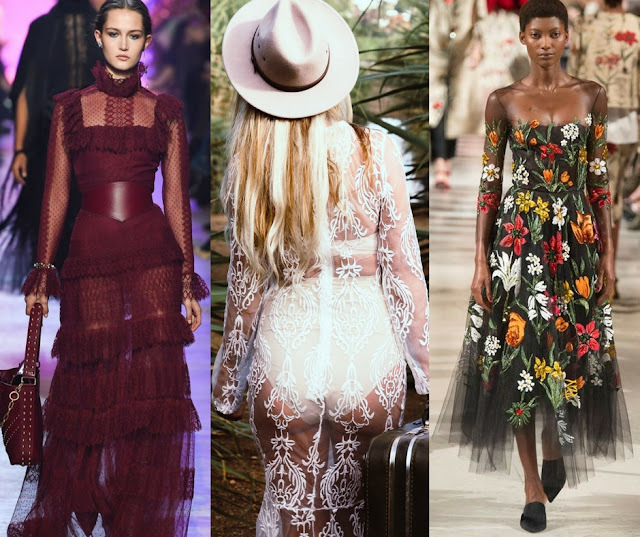 If inspiration for your upcoming spring and summer looks is what you came for, you definitely came to the right place. 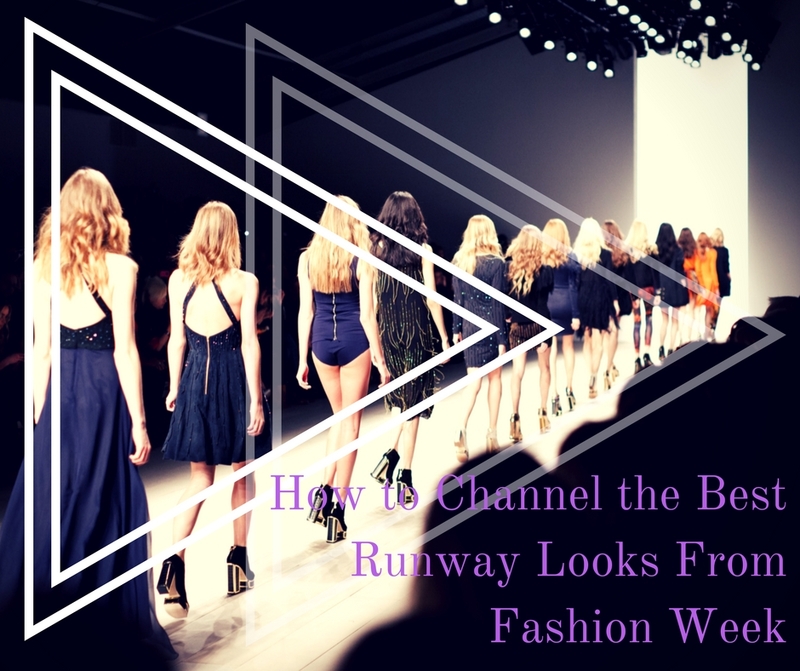 Fashion week always provides an abundance of looks and new trends. Granted, some of them are on the more eccentric and sometimes downright abstract (read: unwearable) side, but with such an enormous amount of outfits and trends that come down the runways, there is always plenty left for us mere mortals to rock and look impeccably stylish and on point. To that end, we have handpicked some of the best and most relatable trends that any fashion-savvy girl can put to use and bring a breath of fresh air to her wardrobe, so let’s unveil them already. This year, in order to be a beacon of innovation, one must simply rock something in Ultra Violet. After all, it is the official color of the year according to the Pantone Color Institute, so make sure your wardrobe is not left devoid of a piece in this color. You can take the subtle route and go with a simple crew sweater, if you don’t want anything overpowering. 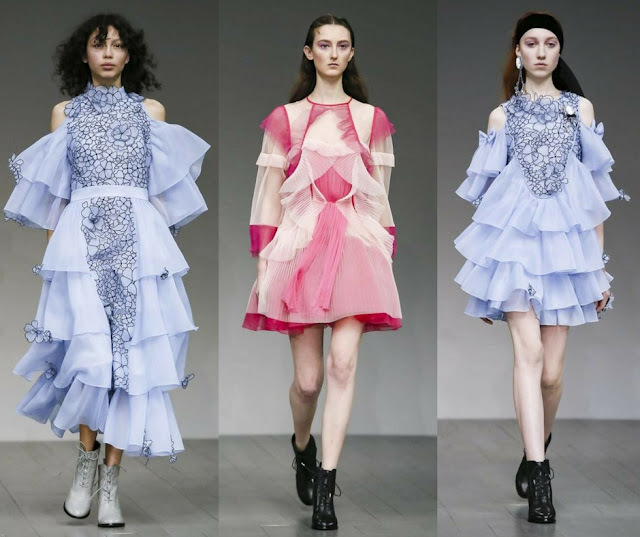 The preppy look is definitely back in style, so you can put a nice crisp white shirt to use, and even add a black satin bow into the mix, as the bow has gained immense popularity, as seen in Bora Aksu’s line. There is almost something Victorian about the bow, and you can make one yourself without breaking the bank. If you have a vintage brooch to elevate the look a bit more, go for it. 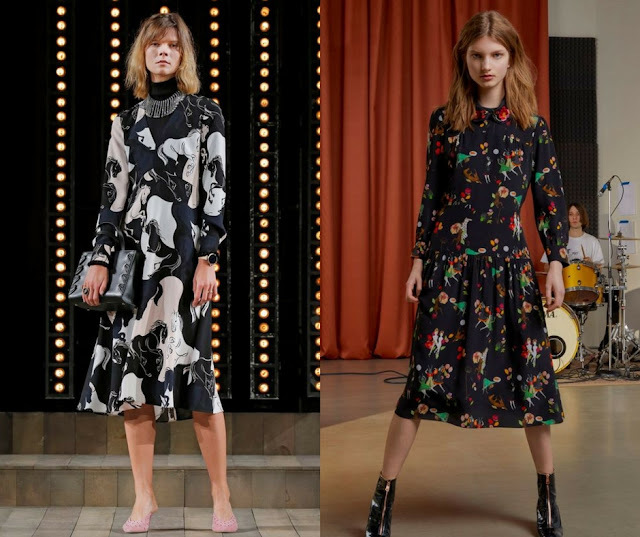 Aside from the enormous variety of pastels that have taken the runways by storm in every shape and form, particularly in the flowy angelic dress department, there is one trend related to dresses that might be even more appealing, especially if gentle florals aren’t your cup of tea. The trend in question is the sheer trend, and everyone from Ellie Saab to Oscar de la Renta came out with their own interpretation of the sheer dress, whether it’s fitted or a larger-than-life ballgown. If you’ve been afraid to rock sparkly sheer evening dresses, now you have the runway stamp of approval, so take the plunge and dazzle at your first important upcoming event. The millennials and minimalists proclaimed the death of the logo, but it seems that their plan wasn’t foolproof, as logomania is alive and well. Gucci, Fendi and Versace certainly didn’t get the memo, or did but chose to disregard it, and the logo has been splashed all over tops, bags, dresses, and the works. Truth be told, there is a certain appeal to rocking something with a logo of a brand you’re loyal to, and if you’re not keen on logo-filled dresses or even shirts, you can make a subtle statement with a logo belt, which is very trendy right now. You can belt dresses, oversized blazers or simply add a little pizzazz to your everyday look by placing the belt on your favorite pair of jeans while tucking your tee in. The polka dot pattern has been around for several decades, and it’s had its ups and downs. Back in the ‘40s, Dior told Vogue that his collection sought “to make women extravagantly, romantically, eyelash-battingly female” and that is why he brought the polka into high-fashion at the time. 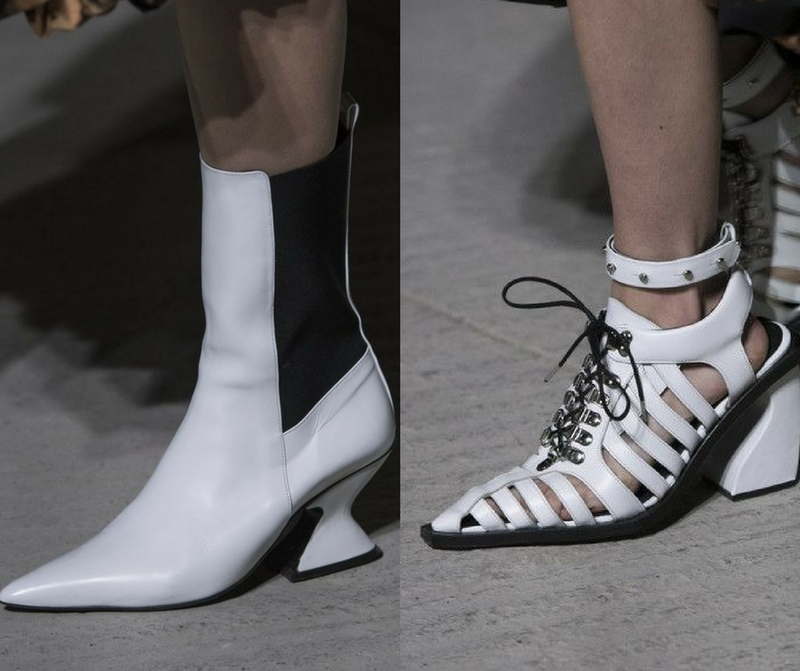 Now, it has made a grand comeback once again, taking its original black and white form, as seen on the models walking for Carolina Herrera. Of course, you don’t have to invest in a designer piece to rock the dots, as you probably have a vintage polka dot dress or even a sweater in your wardrobe already, and with fast-fashion retailers being on top of their game, you are bound to find your next polka go-to garment in no time. If you don’t already have an oversized double-breasted plaid blazer, you better hop to it, as this has been one of the most prominent patterns of the past season, and judging by the street style situation, the pattern won’t be going away anytime soon. Proof: aside from sticking to the already beloved white boot trend, Marques'Almeida took things a bit further with the yellow plaid pointed-toe boots. Again, it’s only a matter of time when you’ll be able to find a more affordable version of plaid footwear for every season, and as they can give a boost to even the most casual outfit out there, and add a bit of eccentricity to an already colorful outfit, they’re definitely worth adding to your collection. Every woman knows that an outfit is not an outfit if there isn’t a great bag there to complete it. Now, some of you will be thrilled to learn that the latest (returning) trend in the bag department is the fanny pack, while others may not feel the same amount of joy. Now, there is still no room for desperation, because, if this kind of bag as presented by Marc Jacobs doesn’t really speak to your style persona, there are more subdued and chic versions as seen in the collections of Givenchy and Kate Spade. Finally, if even these aren’t good enough for you, the most elegant and minimal alternative can be found in the gorgeous solid and geometric bags that were also part of the runway bag nation. We recommend the round-shaped ones, just for a touch of whimsy. 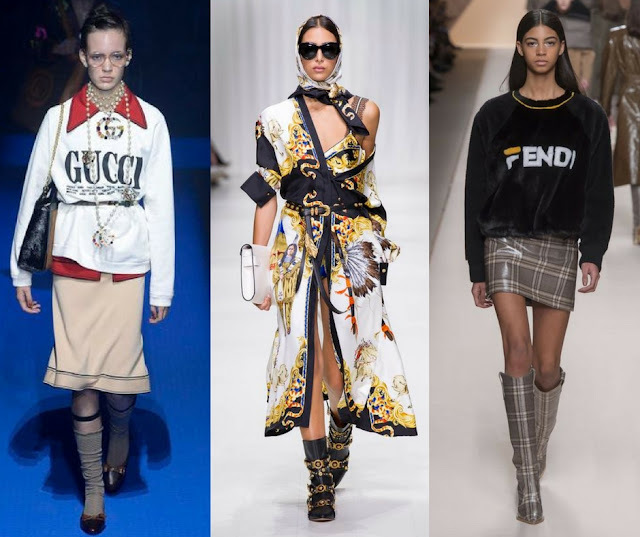 Following trends isn’t that difficult, and you don’t have to break the bank, because as you can see, in fashion, what goes around comes around and you probably already have something that fits the trendy bill in your wardrobe arsenal already.